This is the Samsung Galaxy J3 SM-J320 Solution for Not charging problem or it shows no charging indication when the battery charger is plug-in. 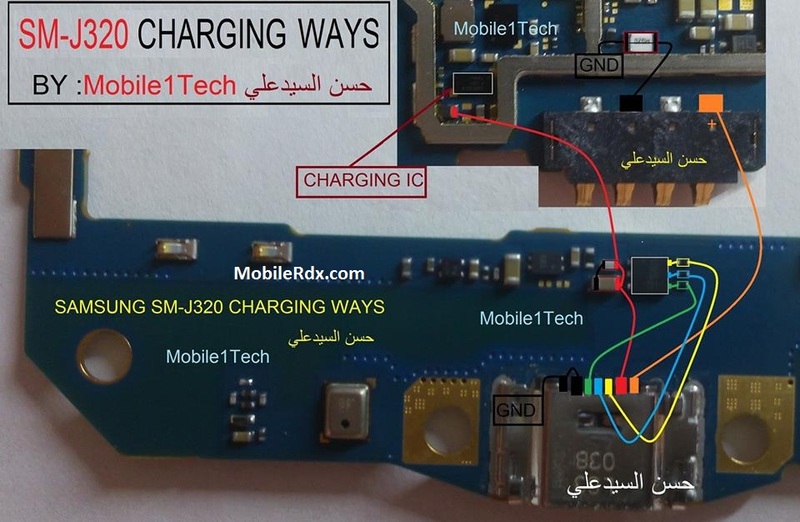 The solution below shows the charging connection line paths which can be used for easy troubleshooting or repair the Samsung SM-J320 charging problem. Check the charging (+) and (-) line paths are short using multimeter, if it shows short them, remove/replace the diode, capacitors and filers. also replace the fuse. Note: use these work at your own risk. If the procedures above doesn’t solved the charging problem, the possible faulty is the power IC. Rework or replace if necessary.